APWindow Film has been in the window tinting industry since 1984. That means we have over 30 years experience in the business. We are Certified solar control and security film specialists. We offer Manufacturer backed warranties across North America. We are Factory trained and have the ability to respond quickly to customer demand. 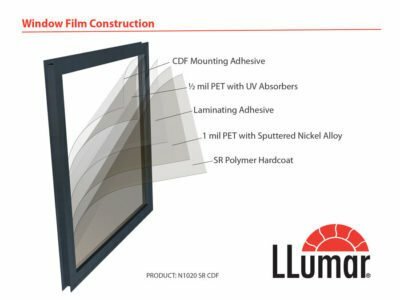 As an exclusive dealer for LLumar – SelectPro Vista window film, we have access to a variety of high quality films, ranking among the best available in the field today. Window film technology and design possibilities are constantly advancing. APWindow Film is dedicated to exploring and applying techniques, using various materials in this innovative growing field where possibilities are limited only by our imagination. Realizing the many significant and practical benefits, immediate and long-term, that window film offers home owners and businesses, APWindow Film continues serving customers with confidence and a genuine desire to understand and help meet their window film needs. Solar window films are specifically designed to block damaging UV rays, providing you with added protection from indoor exposure to harmful UV rays. We carry a wide variety of films that are available in an assortment of shades and hues, including clear films, so solar protection does not mean the natural light of your space needs to be sacrificed. While the specifications and level of solar protection for each film vary, this allows us to help you find the film that best suits your needs. Solar films are designed for both commercial and residential window film installations. Save money by reducing the need for high heating and cooling bills. Solar films efficiently cut down the heat within the home in warm seasons and reflect interior heat back into the house during the colder weather. Solar films can help protect your furniture, expensive art-work and flooring from premature fading due the sun’s harmful effects. Reduce glare so that you can enjoy the view without sacrificing the natural lighting you desire. Enjoy additional peace of mind, as our security films add a barrier against break-in. It functions as a shield that holds glass shards intact when a a pane breaks – Effectively strengthening and helping to protect vulnerable windows, doors and more! Improve the appearance and privacy of your windows with our decorative films which can be personalized to your specific needs. Using our wide-variety of eye-pleasing frost films, preset patterns, and gradient films, you can easily create a classic or modern new look for your glass. Want to create a custom design? We are happy to help give your home your own personal touch, a unique design that is just your style! With the on-site printer, custom designs can be printed with crisp colours on clear, translucent and opaque graphic films. The plotter on premises can create etched designs with intricate details and great precision. Design ideas are endless. Choose from our showroom catalogue, or create your own custom design according to your own personal style. A premium brand of Solar Control Window Films that block up to 99.9% of harmful UV rays, lowers energy cost, and reduces up to 87% glare. With Vista window film installed, rooms will be more comfortable, temperature controlled, and enjoyable without losing the view. The LLumar brand offers window film lines that provide optimal durability and quality, covering a wide variety of window film needs: Solar protection window films, privacy window films, safety and security window films – including control of graffiti damage, glass enhancement window films with various frost, gradient, and pattern films. LLumar’s line of automotive window tint and protection films allow for a comfortable, customized ride. Installation of all types of window films. Having a computer plotter and printer on premises allows us to create custom print and designs in a timely manner and can efficiently produce vinyl lettering and design. With our new printer, we now offer custom wallpaper printing, frosting/etching, logos and more. Our sales representatives offer quality Project Liaison with Interior Designers. 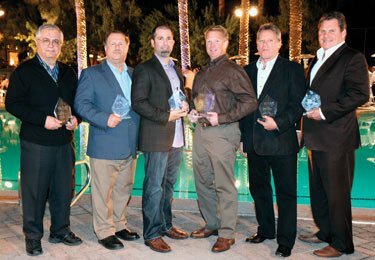 Active members of the International Window Film Association Certified IWFA Solar Control and Security Specialists on staff Member of the Better Business Bureau. 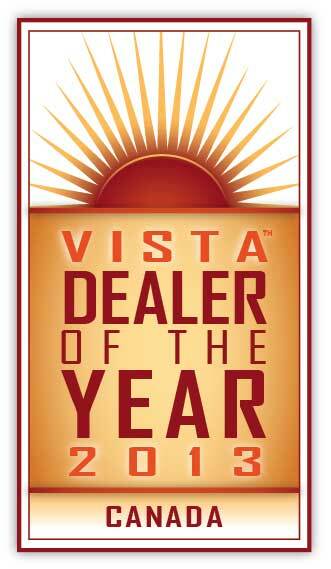 In 2013 Eastman named APWindow Film, owned by Nathan Saikali of Ottawa, Ontario, as the Canadian Dealer of the Year. With more than 30 years in the window film business, APWindow Film consistently leverage their connections at the specification level to grow the company’s commercial and residential film business. We continue to be a leading installer & supplier of various types of window films. Always striving for excellence in providing the best in window films, Eastman’s innovative work with the latest technology available places their films among the leading films in the industry.